May use stock sized bulbs for headlights and corners. 8 pieces. 2 headlights, 2 bumper lights, 8 corner lights with amber reflectors. 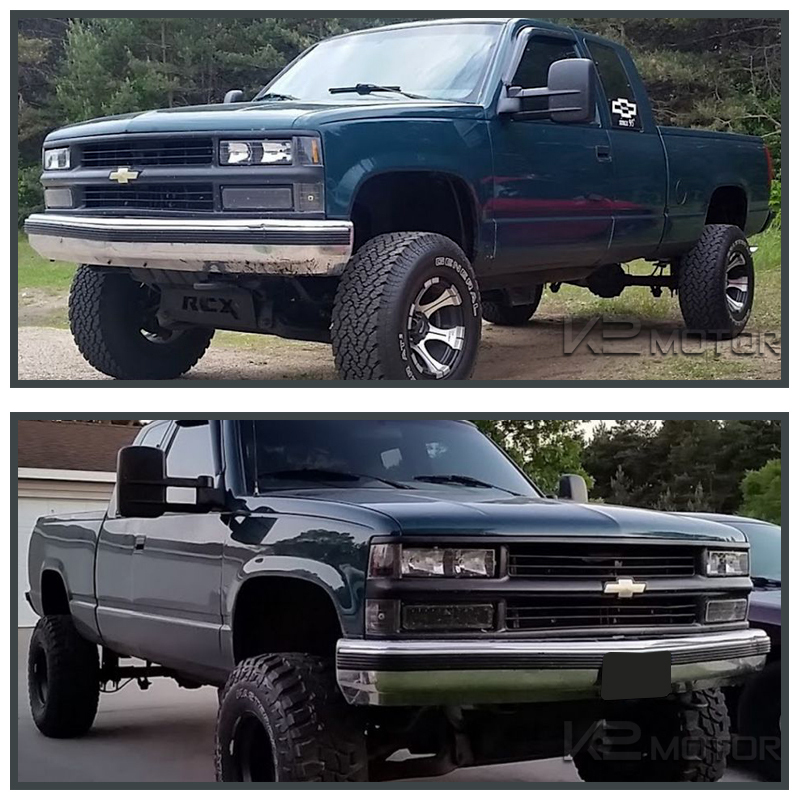 A pair of Euro headlights for the 94-98 Chevy C10. Do not miss the latest style in headlights. The design will create driving at night more enjoyable and with style. These headlights are made as direct OEM replacements with no modifications needed for installation. 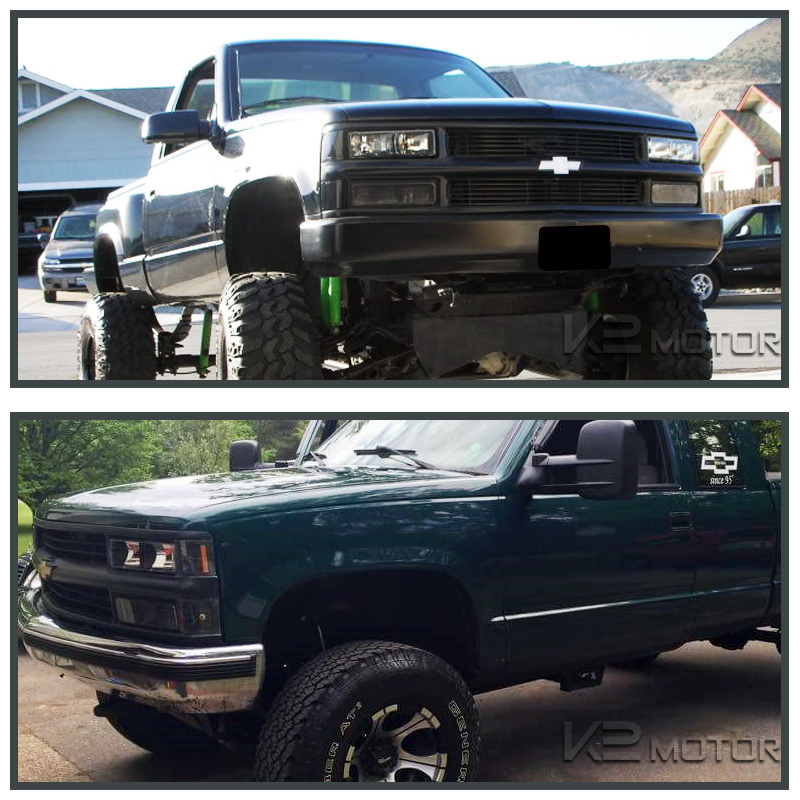 In need of replacing your old and worn out OEM Chevy C10 headlights, but don't want anything that stands out too much? Well these headlights are just what you have been looking for! These stunning new headlights for your car are durable and still put out the same amount of light as the OEM headlights if not more. A subtle look combined with specifically engineered and angled reflective surfaces adds the perfect look to your Chevy C10.